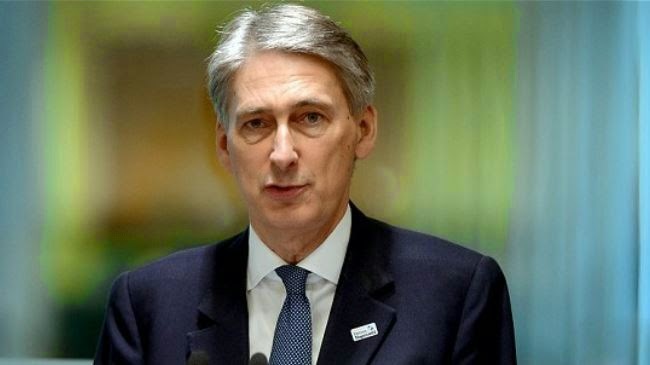 LONDON, England -- British Foreign Secretary Philip Hammond says five Ukrainian servicemen who were seriously injured in clashes with pro-Russia forces will receive treatment in the United Kingdom. Hammond said on Sunday that the soldiers would be given reconstructive surgery at the Queen Elizabeth Hospital in the city of Birmingham, after the first of the five men arrived in the UK. "The surgical unit at Queen Elizabeth Hospital has extensive experience and skill in treating battlefield injuries and I am pleased that we can use that expertise to rebuild the lives of those who have been severely wounded in the conflict in eastern Ukraine," Hammond said. A second Ukrainian soldier is expected to be sent to the UK next month. British doctors are also to travel to Ukraine next month to identify the three remaining soldiers. Back in October, Britain sent non-lethal aid, including body armor and medical kits, to Ukraine. On December 13, the United Nations Office for Coordination of Humanitarian Affairs (OCHA) said fighting between Ukrainian troops and pro-Russia forces in eastern Ukraine has claimed the lives of more than 4,600 people in eight months of unrest. Since April, the two mainly Russian-speaking regions of Donetsk and Lugansk in eastern Ukraine have been the scene of deadly clashes between pro-Russia protesters and the Ukrainian army since Kiev’s military operation started in mid-April in a bid to crush the protests. Kiev and pro-Russia forces recently agreed to stop fighting under the terms of a ceasefire.